I like the idea of a minivan for work and for driving my kids because I'm what many folks call a "sports mom." I was impressed with advanced information about the 2016 Toyota and its top safety rating. My husband and I shopped the 2016 Sienna at the Olympia Auto Mall, a great place to look for all makes and models of vehicles. I chose the 2016 Toyota Sienna based on reviews and Car and Driver naming the Sienna “Best New Car for Growing Families”. 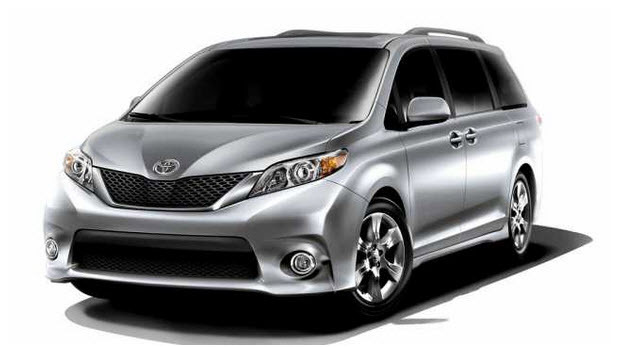 We made the decision to check out the Sienna along with other models. We liked the room in the 2016 Sienna along with the all-wheel drive, six-speed automatic transmission and V-6 3.5-liter engine with 266 horsepower. Toyota also offers the Sienna in a Hybrid version. The exterior features LED headlamps and four entries including the sliding passenger door. The tailgate opens two ways with automatic controls. The interior of 2016 is outstanding with telescoping and tilt steering wheel, an easy to see dashboard, three zone climate control, height adjustable seats, rearview camera and the Bluetooth connections. I want the complete Entune infotainment and navigation system with the new 6.1 inch touchscreen. We can also have our own WiFi hotspot. I also wanted the extra the safety package with the lane departure, blind-spot and rear cross traffic warning systems and parking assist. A sunroof is nice but the heated seats are mandatory for Northwest winters. The keyless entry and start are nice features. Best of all, I can carry six passengers in comfort or I can put the back seat down for Lacrosse equipment, camping and fishing gear or golf clubs. Shopping for a great minivan, visit the Olympia Auto Mall and see the all-new 2016 Toyota Sienna today.